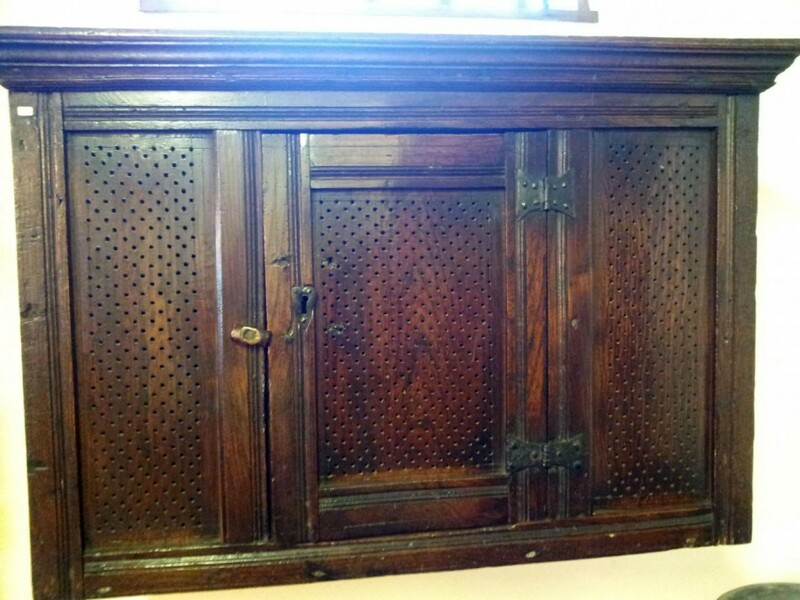 A cupboard with ventilation holes for dry goods and kitchen utensils. 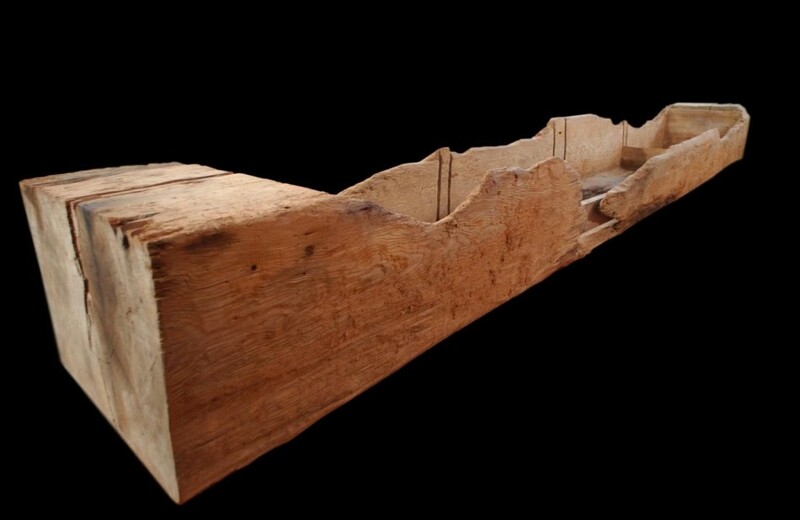 A salting trough which was a wooden box kept in the kitchen for salting meat or fish for preservation. 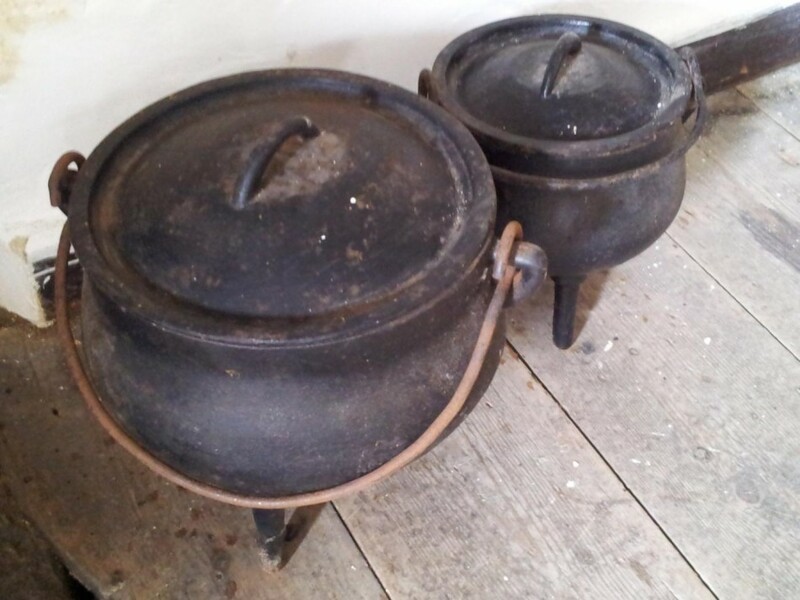 Iron cooking pot with feet. Pewter plates and spoons. 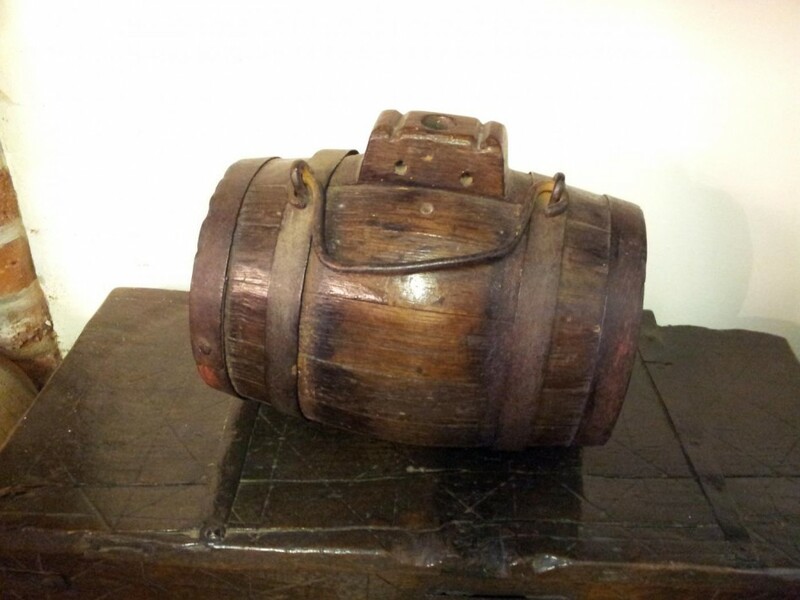 The stoneware bellarmine flagon has a bearded face of a man on it. 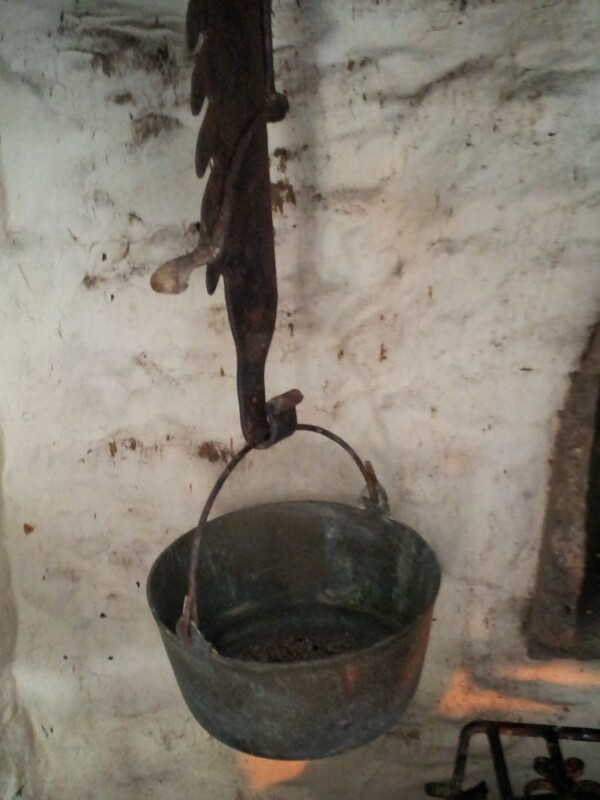 A hanging cooking pot used for heating water, boiling clothes and brewing. 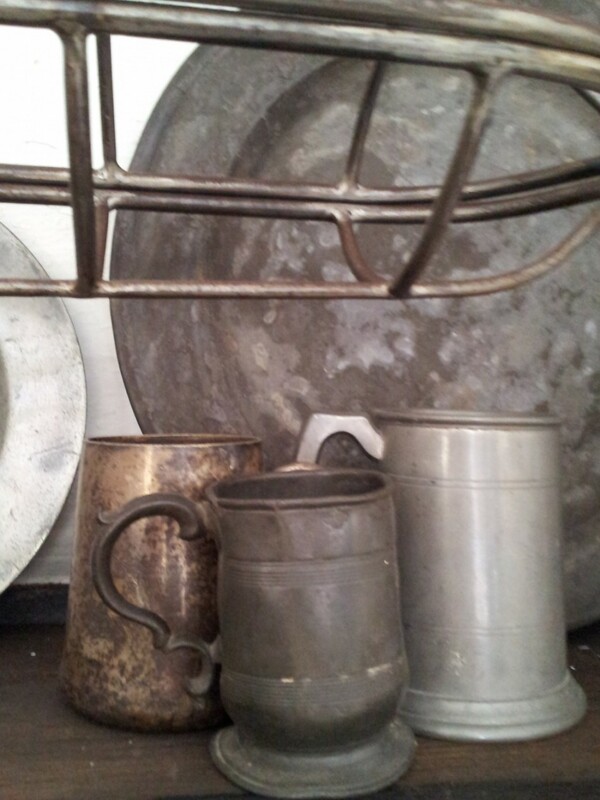 Pewter tankards- being relatively cheap pewter was the main metal for domestic tableware up til 18th century.Sometimes a set of pewter was referred to as a garnish, the worn out pewter could be melted down for new vessels. 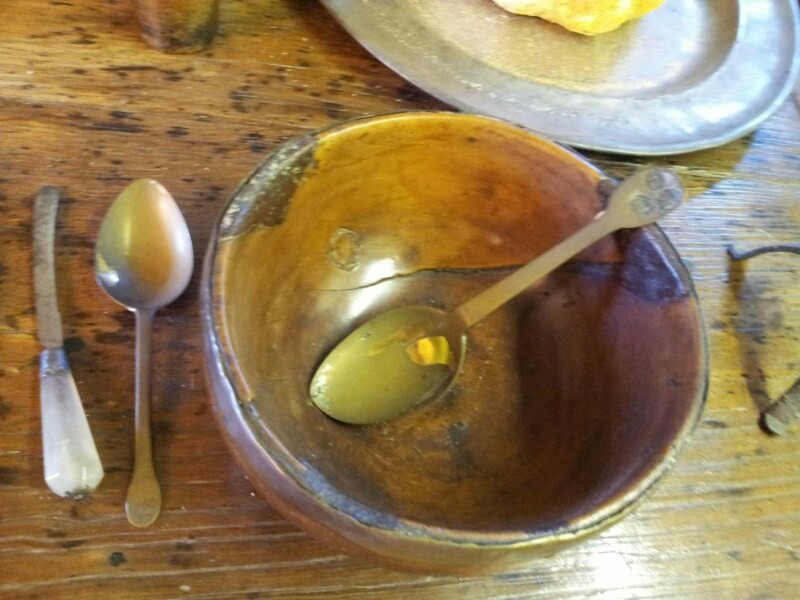 A wooden turned bowl with a pewter spoons. 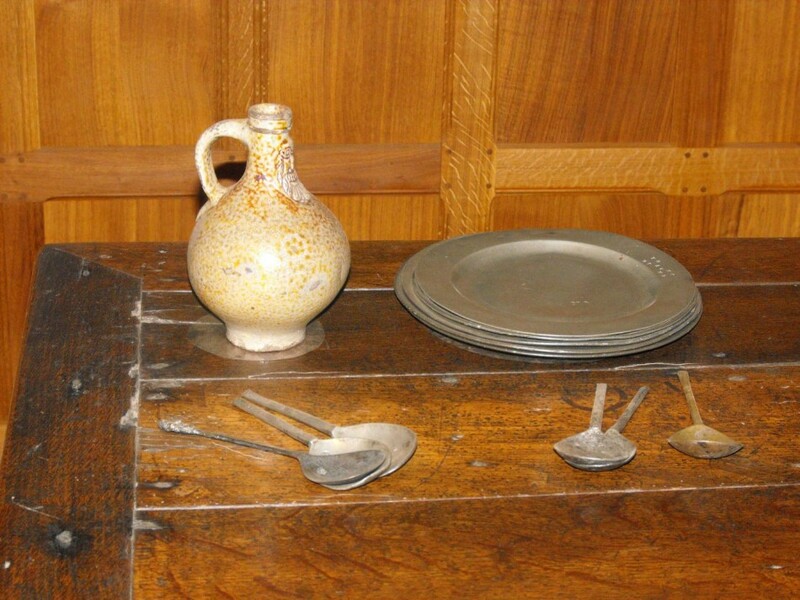 Note the spoon and knife for eating, forks were uncommon in 17th century inventories. 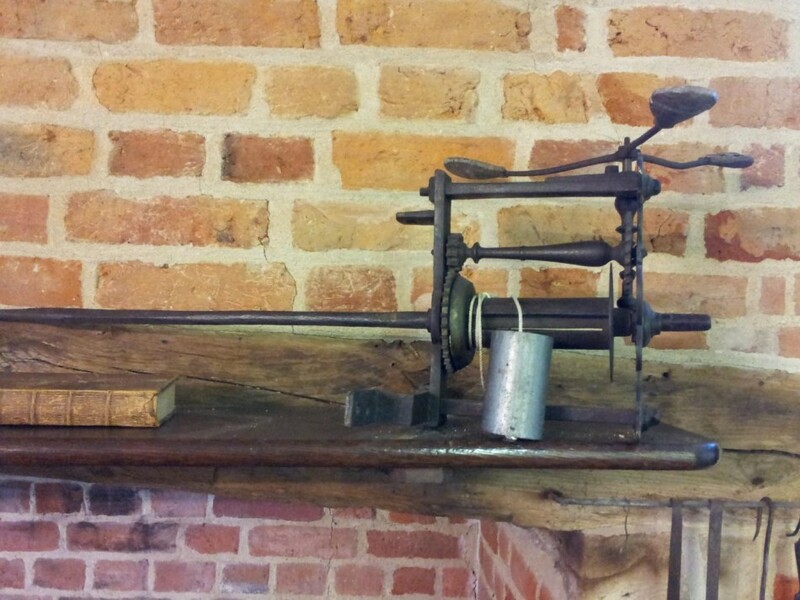 A spit.Iron rod or bar pointed at 1 end to impale the meat, stretched across the open hearth to roast food. 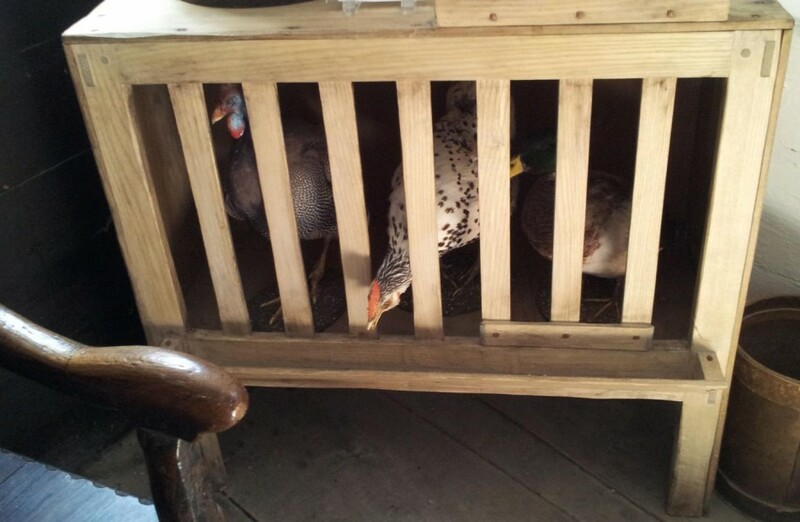 Usually supported on cob-irons or standing dog-irons. 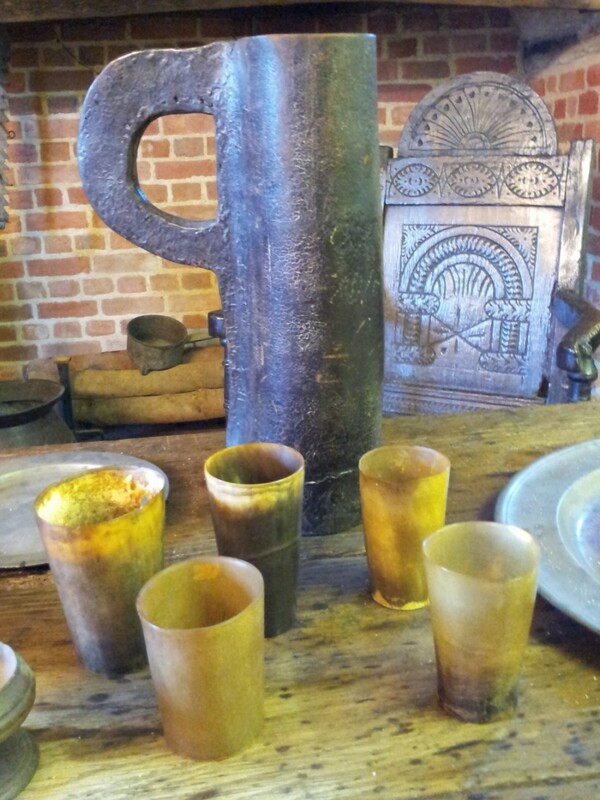 Horn beakers and leather jug. Warning: Though due care has been taken to accurately transcribe entries into the database, no liability is implied or accepted by the transcribers for any errors or omissions. 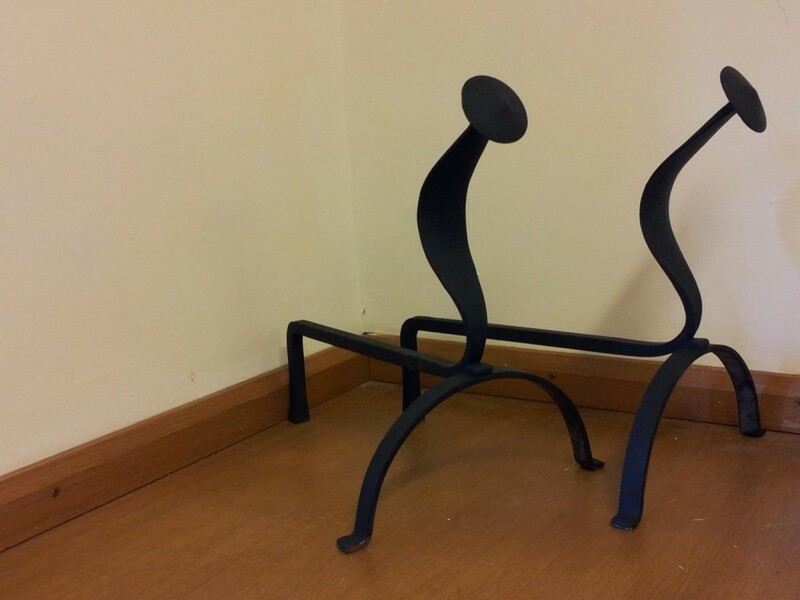 This database is intended only as a guide, the user should check relevant entries at source. © Copyright 2019 - Pirton Local History Group.